An increasing number of marketers are embracing account-based marketing. But what exactly is ABM and what does it mean for our content marketing? 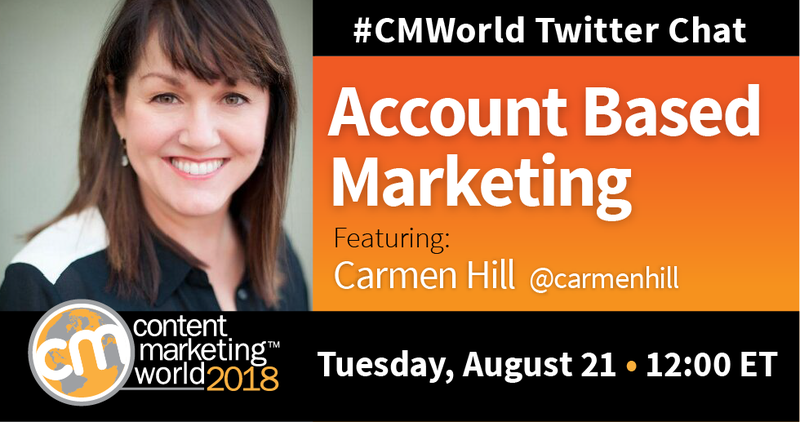 We invited beloved community member and #CMWorld chat regular Carmen Hill to break it all down. What follows is a brief look at the insights shared during the chat. For a deeper dive into each question and answer, check out our Twitter Moment. We asked our community to share their definitions of ABM and how they believed it complemented their content marketing. Here’s what they had to say. And now that we know how our community defines ABM, it’s time to put in the work. Want to take it a step further and put this knowledge into action? Carmen recommended these resources.